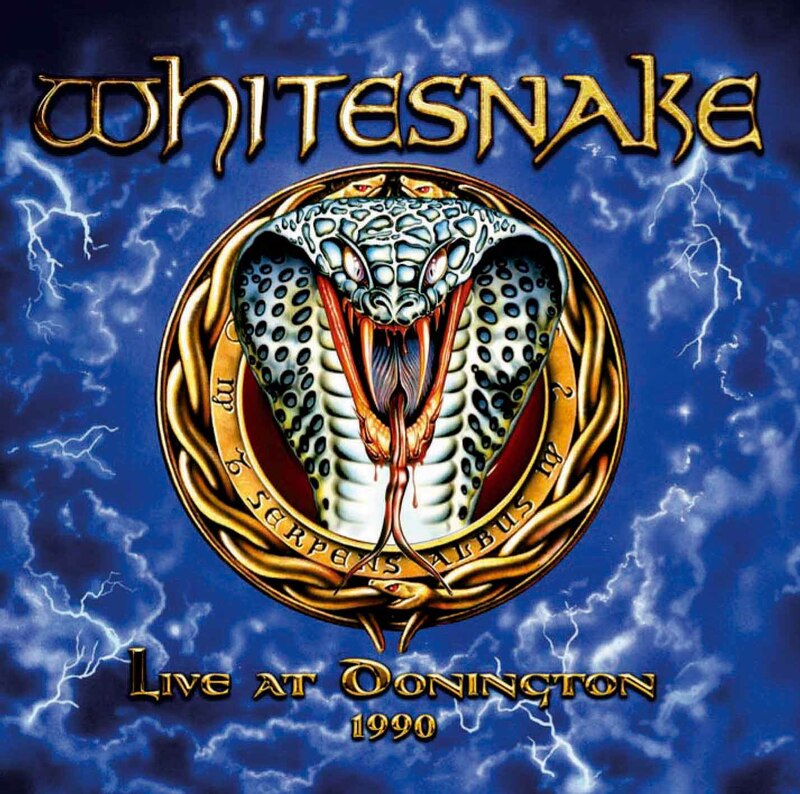 This coming Tuesday, June 7, Whitesnake releases Live At Donington 1990 via Frontiers Records here in North America. The 2 CD and DVD packages are a welcome treat to fans whom this show has been a favorite of for years. The DVD contains never before seen footage of Whitesnake at a time some would say was their peak. I'm a long time Whitesnake fan. Anyone who knows me has probably heard me say at some point David Coverdale can sing to me anytime, any place, for as long as he wants. This is Coverdale in full-throttle wailing rocker mode supported by a cast of stellar characters, Steve Vai (guitar), Adrian Vandenberg (guitar), Rudy Sarzo (bass) and Tommy Aldridge (drums) ... the all-star line-up, as many refer to this version of Whitesnake. The favorites are here and the sound quality is good. Maybe a bit too good at times. When Coverdale pulls back his vocals and just sings without the theatrics as he does in the classic "Ain't No Love In The Heart Of The City," you can hear the end of the set roughness in his voice that comes from night after night of hitting those high notes. Good sound quality makes that a little more noticeable. And, that's not really a negative per se. It has been a little while since I've heard live Whitesnake from that era. So, I was slightly concerned, that listening with somewhat fresh ears, that it might sound dated. Whitesnake was delightfully and brilliantly over the top during that period in time and I wondered if it was going to be as good as I remembered. Yeah, it's pretty darn close. At this stage in my listening I'm a little past the guitar and drum solo thing but they've held up well and sound good. I haven't had a chance to check out the DVD portion but you can watch the trailer for the release below. 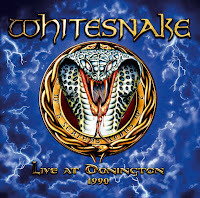 The LIVE AT DONINGTON 1990 DVD also includes a substantial gallery of never before seen stills of the band on the "Liquor & Poker World Tour 1990", plus an intimate behind-the-scenes documentary of the making-of the SLIP OF THE TONGUE album. LIVE AT DONINGTON 1990 will be available as a 2 CD set, a DVD coverpack, a combo 2 CD and DVD in digipak and digital editions. Please see below for the respective double CD and DVD track listings.